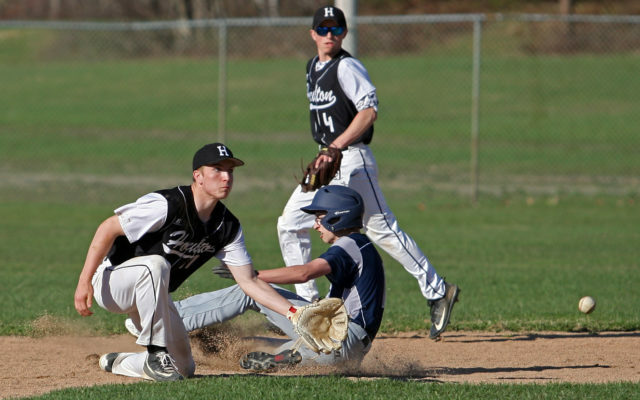 HOULTON, Maine — The Houlton baseball team came just one run short in its quest to bring home a state championship last season, which has only made the Shires eager for another opportunity. Last season, Houlton finished 11-3 in the regular season. The Shires won the Class C North championship with a convincing 10-1 victory over Mattanawcook Academy for the regional crown, but fell 2-1 in a hard-fought state championship match against Hall-Dale. Seventh-year varsity baseball coach Jim Castner said improvement on the diamond is always his desired result. Houlton lost six key players — Isia Bouchard, Colby Callnan, Seth Holston, Pat Howe, Nick Perfitt and Morgan Phillips — to graduation. So if the team is going to replicate its success, new faces will need to rise to the challenge, the coach said. The Shire roster features seniors Tyler Bailey (pitcher/outfield), Nick Brewer (outfield/second base), Ryder Graham (third base/pitcher) and Alex Wilde (outfield/first base); juniors, Jaron Brewer (first base/pitcher), Jason Collett (catcher/pitcher/shortstop), Keegan Gentle (shortstop/pitcher), and David Tucker (first base/third base); sophomores, Jeremiah Ireland (outfield) and Thomas Wilcox (outfield); and freshmen Haven Hanning (outfield), Garrett Harvey (pitcher/first base), Nolan Hodgdkins (outfield) and Collin Moody (catcher/pitcher/second base). Castner added he hopes the team can improve its defense, considering the Shires have an entire new left-side of the infield. Once again, Houlton has a 14 game schedule, which is two less than most teams in their division. Castner said that by having fewer games, it gives the team greater flexibility as the season progresses. Houlton is tentatively scheduled to open the season Friday, April 19, at Orono.